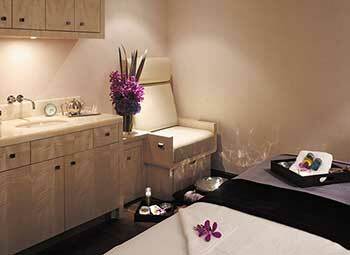 Treatment room at the Spa at Beverly Wilshire. Photo courtesy of Four Seasons. They say good things take time, but when you’re craving flawless skin without the invasiveness or downtime of a chemical peel there just happens to be a quick and luxurious solution: the HydraFacial MD at the spa at Beverly Wilshire. If you’re looking for a different experience that’s still comparable to a Korean spa day in Los Angeles, this place will certainly deliver the pampering luxury you crave! The spa at the Beverly Wilshire was the first location in Beverly Hills to offer the cutting-edge treatment—a celebrity favorite—which teams restorative and calming spa therapies with advanced medical technology to give you plump, baby-soft skin that has been deeply cleansed and fundamentally improved. All of this happens with the help of the HydraFacial MD machine, which the esthetician uses to first cleanse and exfoliate your skin, using Activ- 4™—a combination of Lactic Acid and Glucosamine. Once the pesky dead skin cells have been removed from your healthy new skin, the second step of the facial is an acid peel that combines the benefits of aggressive exfoliation and chemical peels into a one-step resurfacing treatment that removes dirt and toxins that we encounter on a daily basis. Don’t let “acid” and “peel” frighten you. This step is quick and easy and you’ll breeze through it without any irritation. When your skin is cleansed down to the pores, your esthetician will then start extractions. But this isn’t the painful pinching you might be used to. 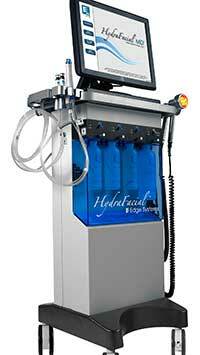 They will use a wand of the machine to clean out your pores with painless vortex suction. At this stage you can also opt for a specialty treatment formulated to smooth the appearance of fine lines and wrinkles. Finally, you will be slathered in “super-serum” Antiox-6™, which improves your skin’s elasticity and hydration and helps protect it from environmental free radicals. The serum’s formula combines deeply moisturizing Hyaluronic Acid with natural detoxifying antioxidants such as vitamins A, E, white tea extract, horse chestnut extract, and rosemary extract. And with that you’re finished, you’re skin will be glowing, feel amazing, and most people notice wrinkles fading after one facial. When you book a HydraFacial MD, or any other spa treatment at the Beverly Wilshire, it’s only just part of a luxurious experience. Spa guests can make a day of it by unwinding in the mosaic-tiled steam room, relaxing in the dim light and plush loungers in the spa’s relaxation lounge, or lounging and dining at the hotel’s pool. Spa guest also receive free valet parking for the day.